European Commission Prepares Formal Antitrust Charges Against Google - Fuze SEO, Inc. The European Commission appears to be preparing to file formal antitrust charges against Google, according to the Wall Street Journal. As the European Union’s top antitrust authority, the Commission wields tremendous power in implementing and enforcing legislation that restricts companies from forming monopolies or depriving competitors of a fair share of the market. While Google is an American company, the search engine maintains a strong web presence in European search markets–even more than in the United States. This makes Google subject to European business regulations, and entitles entities such as the European Commission to investigate any practices that are perceived to violate or fall out of line with those regulations. This latest episode is not the first time the European Commission has explored legal action against Google, but it does mark the first formal charges filed against the company. While it is still possible that Google and the Commission may reach a settlement, it seems increasingly likely that the case will finally move forward. Back in December, Fuze reported the latest in the antitrust investigation which had been ongoing for more than four years. On November 27, 2014, the European Parliament voted to separate Google’s search engine from its advertising businesses. The vote was symbolic–the Parliament has no legal authority to dissolve an American company’s properties–but it demonstrated an overall legislative attitude that placed pressure on the Commission to act. It falls well within the European Commission’s power to separate Google’s businesses, and the November vote had the potential to shape the course of the Commission’s investigation. 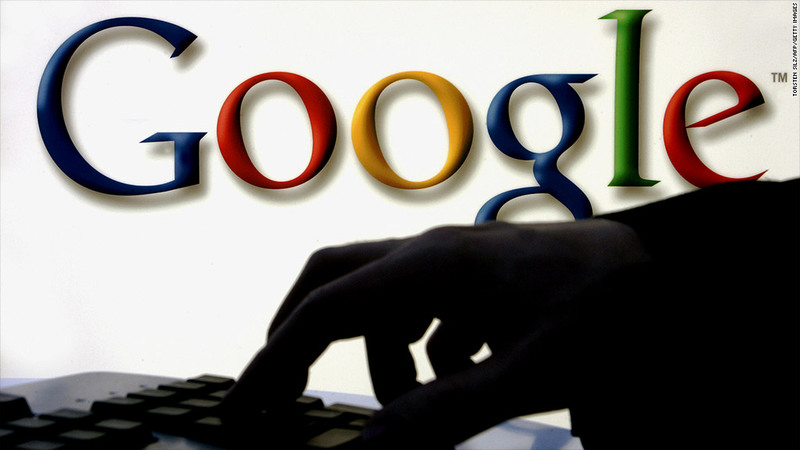 The case began in November 2010, when various European companies began launching confidential complaints against Google for its exertion of dominance over the search market. Amongst those complaints were allegations that Google had effectively formed an internet monopoly by emphasizing its own properties or those of its advertising partners’ in search results and limiting the web presence of competitor properties. In light of the complaints, the European Commission was tasked with determining whether or not Google should “unbundle” their search engine from their other businesses to open search rankings up to competitors’ voices. Throughout the investigation, numerous solutions and settlements were proposed to avoid formal charges, with the European Commission even working with Google to placate the search engine’s opponents. Still, most proposals were dismissed by complainants as too lenient, and the investigation remained open with no real resolution in sight. Throughout the investigation thus far, the European Commission has seemed to be on Google’s side. Jaoquin Almunia, Vice President of the Commission, was staunchly in favor of speedy settlements that avoided legal proceedings and benefited all shareholders. In one 2012 statement, he was quoted as saying, “these fast-moving markets would benefit from a quick resolution of the competition issues identified. Restoring competition swiftly to the benefit of users at an early stage is always preferable to lengthy proceedings.” In essence, Almunia sought to reach a compromise that satisfied all parties involved, including Google. Propositions for a settlement reached by Google and Almunia often saw the company’s search and advertising businesses remaining intact. These solutions, the most notoriously attacked of which was known as rival links, often looked the same: Google retained its authority over search results, allowing them to prominently display their own advertising partners’ sponsored links, while relegating a fixed number of placements to be bid on by competitors such as Amazon. Studies commissioned by complainants in the investigation found these settlements to provide little additional value to competitors, and Almunia was criticized for his complacency in Google’s perceived monopoly. Now, however, as antipathy grows towards Google in Europe, the almost five-year-long investigation is coming to a head. In March, the Wall Street Journal published a previously secret document that was part of a Federal Trade Commission (FTC) investigation into Google’s business practices. The FTC is the United States’ equivalent of the European Commission, and while they have never filed charges against Google, they did investigate the company back in 2012. This document is from that investigation, and alleges that Google repurposed content from other publishers (such as Yelp, Amazon, and TripAdvisor), and penalized them in search results when they prohibited Google from using their content. The document released by the Wall Street Journal indicated that the FTC echoes much of the European Commission’s concerns, thus renewing the focus on Google’s practices. Did this document incite the Commission’s actions, or did the European Parliament’s symbolic vote to dissolve Google’s businesses actually hold sway over legislators’ decisions? The very fact that the European Commission is requesting to publish the complaints indicates they are in the final stages of gathering documentation to file charges. What lies ahead for Google remains uncertain. To reach a settlement at this point would require Google to make drastic changes to Universal Search, and any proposal would be met with even more intense scrutiny. If they cannot settle, Google may be facing fines of up to 10% of their annual revenue–roughly $6 billion based on last year’s numbers. They would then have the right to appeal, but given the widespread sentiments against Google throughout the European Union, there is no guarantee they would win. By any measure, the conflict between Google and European search markets is far from over. Tagged European Commission, European Union, Federal Trade Commission, FTC, google, Google Antitrust Investigation, Google Europe, Universal Search.